The Anderson Cemetery is located two miles west of Seward on the north side of Highway 34. James Anderson originally started this cemetery in the 1800’s and at that time he offered that anyone wishing to lay away their dead in this plot of ground were privileged to do so. The Andersen Cemetery was deeded to the City on May 15, 1951 by the then formed Anderson Cemetery Association. The Greenwood Cemetery is located in the City of Seward on 2nd Street and the intersection of Bek Avenue. On May 18, 1948, the Greenwood Cemetery Association deeded this Cemetery to the City of Seward. 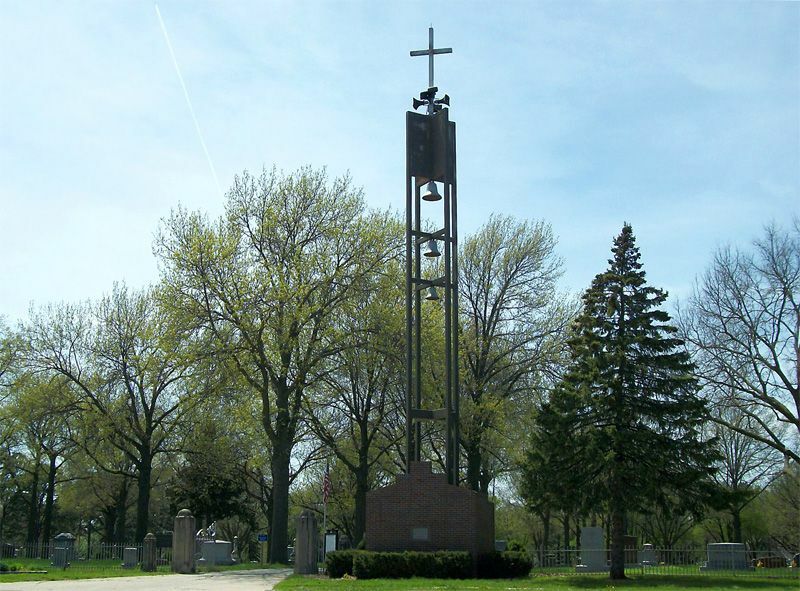 The Greenwood Cemetery is home to the Guthman Memorial Bell Tower erected in 1988 donated in memory of the Frederick Guthman family. The Seward Cemetery Association was developed in 1874 after the need for a cemetery arose due to the sale of land near Plum Creek on which the town’s original cemetery was located. The Seward Cemetery was consequently purchased and is located on Highway 15 approximately 1 mile north of the Seward City limits. All of the records of the cemeteries are maintained and are on file at the Seward Cemetery. In addition, in 1991 the Seward County Genealogical Society compiled a book of records for all cemeteries in Seward County. This book can be purchased and is available by contacting the Seward County Genealogical Society, Box 72, Seward, Nebraska 68434. Cemetery plots can be purchased at the Cemetery. Transferring of a space will be made at the discretion of the City after a request is reviewed and payment is received. Holidays in which the City will provide services for an additional fee: Martin Luther King Jr. Day (third Monday in January), Labor Day (first Monday in September), and Veterans’ Day (November 11). Holidays in which no services or openings will be conducted: New Year’s Day (January 1), Memorial Day (last Monday in May), Independence Day (July 4), Thanksgiving Day (fourth Thursday in November), and Christmas Day (December 25). All lot owners are required to maintain their property in a neat and dignified manner for the proper operation and use of the Cemetery. No vehicle shall drive over 10 mph in the cemetery. No alcoholic beverages allowed on the cemetery grounds. April 1st to October 31st – no items allowed on or in the grass. November 1st to March 31st – appropriate items allowed on the grass. No Barriers such as chains, hedges or railings of any kind are allowed. No planting of shrubs, flowers, bulbs, trees, etc. are allowed. No planters of a permanent nature are allowed. No glass or breakable containers are allowed. DIGNIFIED TRIBUTES may be placed on the monument or concrete pad so long as they do not distract from the sanctity and dignity of the cemetery grounds and do not interfere with mowing. The City reserves the right to remove unsightly, offensive, or in-appropriate objects. The City will not be responsible for any damage done to monuments or markers or any kind of memorial by an act of God, such as falling limbs, trees, or damage caused by vandals. The City reserves the right to alter regulations in the best interest of the cemetery property. 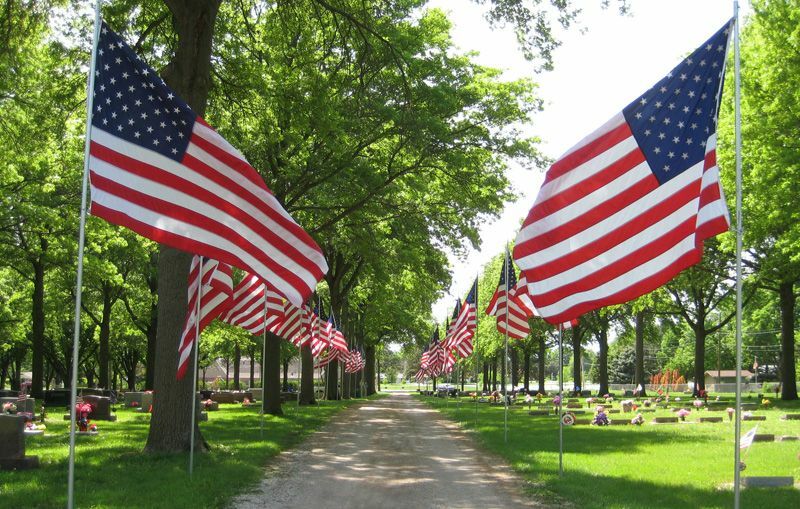 MEMORIAL DAY REGULATIONS: All dignified tributes will be allowed on the grass or monument areas seven days prior to Memorial Day and must be removed fourteen days after Memorial Day. The City of Seward takes pride in the perpetual care provided for all of the cemeteries under their control. All employees who work in the cemeteries are directed to be respectful and dignified at all times while performing their duties, and to take reasonable precautions to protect and preserve the monuments within the cemeteries.Unfortunately, on rare occasions, damage occurs to monuments by thieves, vandals, the elements, acts of God, or by accident. In order to continue to provide the best possible care for its cemeteries and also provide for the best interests of the taxpayers of this community, the City of Seward disclaims all responsibility for loss or damage to monuments or other property placed upon the lot(s) you have purchased.The City of Seward encourages lot owners, their heirs, or legal representative to secure whatever insurance is available to protect against damage to property placed upon your lot(s).